One of the biggest mistakes home buyers makes when they hire a home inspection to inspect their home is thinking all inspectors are the same. This is a HUGE mistake that can cost your thousands of dollars. Watch this video to get some great home inspection tips so your hire a GREAT home inspector. Not all inspectors are the same. You have to do your due diligence to make sure you are hiring the right inspector for the task. This video will help you. Hi everyone. 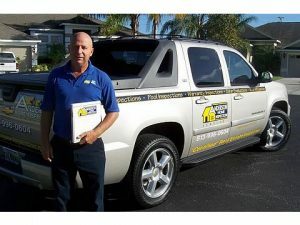 It’s your Tampa Bay Realtor Lance Mohr and in this videos, I want to talk about how to hire a great home inspector. I know this is really hard looking at buying a new home or a pre-owned home if you don’t know a home inspector but I’m going to talk about what you need to do to make sure you get a really good home inspector. That’s going to rip the home apart. That’s what I’m going to talk about in this short video. I think when you’re buying a home, whether you’re buying a pre-owned home, whether you're buying a new home you need to get the home inspected. It doesn’t make any difference. A lot of people think while I’m buying a brand new home why do I need to get the home inspection before? Why do I need a home inspector? Well as I always say it’s a new home, it’s not a perfect home. So get a home inspector but don’t go out there and just get anybody and let me give you an example. A while back, I had one of my clients and they hired their own home inspector and it was a 3,000 square foot home. Is about 10 years old. The inspector went out there and did the inspection in 55 minutes on a 3000 square foot home. I was shocked. I couldn’t believe it would take him a nap short of a time to do an inspection. So I was curious I asked the buyer I saw how much did you for the home inspection and he said $250 and they’re like oh well there you go. See there are two types of inspectors in my opinion. Number one is you have the inspector that just goes out there. Tries to cram as many appointments in a day as they can. Maybe they do hour inspections or an hour and a half inspections they charge $250 or $200. They can knock out three or four of them a day and a lot of them do that. There’s a lot of those out there. That’s not what you want. You want someone you might have to pay him a little bit more money or at least fair market rate but if you want someone’ who’s going to be in there a while. If my inspector went out to that 3000 square foot home he’d probably be there a good three and a half hours. Maybe four hours just depending. You want someone to go in to check the irrigation system. You want them up on the roof. Crawling through the attic. You want them looking at everything. The home inspector is pretty much at least in Florida they’re licensed, they’re insured, they’re bonded but you get what you what you pay for. So I would say like my inspector he’s four hundred dollars. He would approximate let’s say $400 to $450 on a 3,000 square foot home. He would probably have been out there three and a half to four hours maybe more. I’ve talked to mine 2,500 square foot home where he’s been out there five hours before. He only does on to two inspections a day. Where this one was out there 55 minutes and it was $250. So first off on how to hire an inspector, you get what you pay for. If the going rates about 400 dollars and you’re going to pay 300 or 200 or something like that. You got a figure you’re not going to get the most detailed inspector out there. Now the other thing I would highly recommend doing. Now but of course you might get the inspector from your real estate agent. You might get them from a family member, from a friend, from a co-worker but you want to do is ask them for an inspection report. So they should have an example inspection report that they could give you. So you could hoe detailed it is. Do they go over and above? Do they not only go through what’s on the state form but that they go through their own form? Do they take a lot of pictures that they give detailed explanations? What about the inspectors done can the selling agent call him or can you call him back. I’m sure you can, you should be able to. Can the seller of the home call him or is it just like hey we’re one and done sorry I’m on to my next inspection unit pay for a bunch of people to be calling me. So you got to really look at it like you get what you pay for but always do your due diligence. Talk to people get an idea how long the inspector will generally be there for the inspection and get a copy of one of their inspections so you could see how detailed they are. You can see what the inspection report looks like. I hope this video helps you. If it does and you like this video please do me a favor. Give me a thumbs up so I know that. If you have any questions. There you have anything you want to say leave them in the comments below. I’d love to hear from you. I’d do this videos for you. The home buyer and the home seller. So I hope this helps. I hope you have a wonderful day. If you are in the Tampa area and you’re looking a great aggressive agent don’t hesitate to reach out. Give me a call (813-317-4009) I would love to help you. Have a great day. For more educational real estate videos please visit my YouTube Channel. Hi everyone. This is your Tampa Realtor Lance Mohr and in this video, I want to talk about Florida property taxes and more specifically the homestead in Florida. How it works the advantages of it and then how you could get more detailed information on the property taxes if you have any questions. I’m to go over all this in this short video. People are very confused when they’re moving to Florida. They’ve never been here and don’t understand homestead of us. Don’t understand property taxes. So let me talk a little bit about our homestead law and it’s a lot different than other states. I’ve lived in California where they have the homestead. I’ve lived in Texas where they’ve had the homestead and it’s so much better in Florida. So let me go backward from 3 to 2 to 1. The number 3 benefit of having homestead is the $50,000 exemption. Let me give you an example and how the taxes work out here. Let’s say you’re buying a home for once to say $300,000 and you witness a new home or it could be a pre-owned home and you’re looking at it. You’re trying to figure out what your property taxes are. The best thing to do is not look at what they are right now. So someone’s living in it that’s what their property taxes are and I’m going to explain a little bit more this a little later. If you don’t want to pay any attention to theirs so you buy the home for 300,000 the best thing to do is the figure they’re going to assess you 85%. They’re going to assess you $250,000 for the home. Now it may even be more like in my cases it’s lower on many of my properties. Anyhow you’ll look at 255 and then you’ll want to take the $50,000 homestead exemption off of that. You’re basically a tax base of $255,000 then depending on what can you live in and what their millage rate is. When I say millage rate so example, Hillsborough County in Florida. The millage rates about 21. So 21 would about two point one percent. If you have a two point one percent. If you have $205,000 dollar estimate you take 2.1% that’s your taxes. Now if you have CDD fees on top of that you’re going to have to add those in. Now keep in mind CDD Fees are included in the property tax bill. Let me repeat this because there’s a lot of confusion out there. CDD Fees which stands for Community Development District fees are included in the property tax bill. A video on CDD fees. If you’re not really sure what they are you definitely want to watch this video because pretty much all new and newer homes have them. You could watch it up here but they are included in the property tax bill. So you just need to get an estimate on what they’re going to be. The second thing that’s really nice about our homestead law out here is that creditors can’t go after your primary residence. If something happens and you have a lawsuit and not an attorney so unique legal advice but if that does happen, creditors can’t go after your primary residence if its homestead hence years ago OJ Simpson moved to Florida why’d he moved to Florida his home protected. Anyhow, at least that’s why I think he moved to Florida. So that’s the second thing. The number one thing that’s probably the biggest advantage is they cannot tax you over 3% of your assessed value. So if your home is worth let’s say $300,000 and you buy it and that the home prices are continuing to go up they can’t assess it for more than 3%. That’s why you never want to use what someone else’s tax base is because if their home is homesteaded and they’ve owned they’ve lived in it for many years their tax base is going to probably be very low. See it didn’t work like this other states I lived in but it’s a huge benefit for women in Florida. Now if you want to get more information on the taxes you just need to look at the tax bill. It’s public record. I’m going to give you an example just in Hillsborough County you go to Hills tax org you do a search for the property. You put the address in there and then you just take the most recent bill and it will be in a PDF format. You open it up and you could look at it’s going to say what all the different taxes are. So it’s going to say what the school taxes are and what percentage and what’s the dollar amount then it’s going to give the phone number if you want to call someone about it and what this is really helpful for is when you’re looking at CDD Fees. If you want to get more information and you’re in a community that has CDD fee when you open it up. It will usually say calm Devon it will have the phone number and then you can just simply call the phone number talk to them. Ask them what’s all in the CC you know what type of bond do they have in there? How long is the bond going to last? Is it 20-year bond? 30-year bond? When was it taken out? What else is in there like maintenance or if it’s a homeowners association dues that are in there. You might want to see if that’s in low homeowners association dues. Ask them if some of that’s wrapped into the CDDP. Get an idea but that’s where you go and get it. If you have any questions don’t hesitate to give me a call (813-317-4009). If you like this video give ma thumbs up or leave a comment below. I appreciate it. I wish you the best of luck and I hope this helps you. Have a great day. Click here for more educational real estate videos. This is the #1 home builder complaints I have heard over the past 20+ years from new home builder reps. Do NOT make this buyer mistake. Please leave a comment and let me know what builder complaints you have. Hi everyone! This is your Tampa Bay Realtor Lance Mohr. In this video I’m going to go over the number one complaint by virtually all new homes sales representatives and why you need to know this. Where you could lose the home you and your family want. I’m going to go over that in this short video. Now this number one complaint. I’m going to tell you. I’ve been in the business for over 20 years and I sell a ton of new homes and this complaint is told to me by virtually every new home representative I ever talked to and I don’t talk to them just on business level when I’m in their home. A lot of time they’re friends of mine. I’ll go up to dinner with them. I’ll go up to lunch with them etc. and we just talk about what problems they are having is. What the problems the builders having and the number one complaint that they say over and over again is when he real estate agent the buyer comes into the home and the buyer finds a home they really like. A lot of time the realtor is like okay let’s go, let’s go we got four more homes to look at. We got to go at them. We have appointments. Now if you like the home. If you go into a builder with your real estate agent. You need to stay focused on what you like because if you like that home and then I’ll let’s say you walk out the door and you go to your appointments and they all turn out to be duds. Then another buyer could actually walk in and buy the home or buy the lot you like or maybe buy one next door but it’s the same floor plan with the same elevation or maybe it has the same color scheme which means you’re not going to get that floor plan with that elevation or you’re not going to get that color scheme. So I would just tell you a real estate agent. I understand as an agent we’re on time schedule and we want to adhere to that time schedule. That’s why a lot of times when I’m pretty much all the time when I’m working buyer. If we’re looking at 3 owned home and new homes. I’m always trying to see the new homes last because I don’t know how long it’s going to take. You know, we could see four pre-owned homes and we could be done with those in an hour to an hour and a half but if we go out to a builder’s hone and the buyer likes that builder. They like the floor plan we’re talking about it. It could take an hour. It could take two hours because you’re going to have a lot of questions. You’re going to want to go look at the lot. You’re going to want to see what’s included. You hopefully have a real estate agent that’s educating you along the way. So just make sure if you’re working with a real estate agent and you’re looking at pre-owned homes, you’re looking at new homes. The safest bet is just to look at the pre owns first. Look at the new homes last. So you don’t have your real estate agent saying he come on we got to go, we got to look at four or more homes or five or more homes or whatever it is. So I hope this helps you. I do these videos for you. If you have any questions whatsoever don’t hesitate. Leave them in the comments. I’d like to do a video about it or answer your question. If you’re in the Tampa Bay are I would love to help you. I’d love to work with you. I wish you the best of luck have a wonderful day. Click here for more educational real estate videos for both home buyers and sellers. Don’t forget to subscribe. If you are wanting to learn what mortgage insurance is and how it does work, watch this short video, where I talk about PMI, MI and funding fees. Hi everyone. This is your Tampa Bay realtor Lance Mohr and in this video I want to talk about what is mortgage insurance. How does mortgage insurance work and what are the different types of mortgage insurance. I’m going to talk about that in this video. What is mortgage insurance? I get a lot of questions on this a lot of people are very confused. They say words like mortgage insurance and PMI and what is that? How does it work? Let me break it down in three different types. The first is on a conventional loan. When I say conventional, I pretty much mean financing by either a Fannie Mae or a Freddie Mac . The second is on a FHA loan. So the Federal Housing Administration which is a department within HUD Housing and urban Development. The third is VA which is Veterans Administration. Let me talk about VA first. A lot of people think oh well they don’t have mortgage insurance and in a way that would be right because what VA does is they have a one-time upfront fee that you can roll into the price of the home and it’s called a funding fee. So you’re not like a typical mortgage insurance. You’re not paying upfront and then every month or you’re not paying just every month. So you’re paying a one-time fee and that’s it. You’re sort of one and done. Now the thing about the insurance. The thing about the funding fee is this VA’s way being the government of ensuring the mortgage of default. If they go into the default the lenders not on the hook. Which is the whole reason for the funding fee or mortgage insurance in the first place. Now the second one is FHA. Now FHA program that’s primarily designed if you’re not going to put a lot of money down but there’s a lot of other great benefits to FHA. The one negative to FHA is their mortgage insurance. It’s mortgage not private mortgage insurance. There’s this EMI for mortgage insurance it stays with you the entire time of the loan. If you live in a home and you have the FHA loan for five years, you’re going to have mortgage insurance for five years. If you have the FHA loan for 25 years you’re going to have the mortgage insurance for 25 years. The only way you are going to get rid of it is to get rid of the loan and that could be a good it could be bad. So it’s not you don’t fall under that rule where you’re going to get 20% equity and then you automatically get it removed that isn’t what FHA does. Now again, a lot like VA if they chase the govt. so they’re insuring the lender in case there’s a default. The third is conventional and this is what most people talk about when they talk about mortgage insurance is called PMI or it’s called private mortgage insurance. The difference is FHA is mortgage insurance MI. Conventional as PMI private mortgage insurance because they’re not the govt. they’re private companies that are that are basically insuring the lender of default. Now if you put down 20% on a loan you don’t have to worry about mortgage insurance or private mortgage insurance. I should say you won’t have it if you put down 15% or 10% or 5% you’re going to have mortgage insurance because the lender is going to require. Now the less money you put down the more reliability it is. So the higher the insurance cost. So someone putdown 5% is going to have a higher insurance than someone putting down 10% or someone pinning down 10%. Their insurance is going to be more than someone putting down 15%. Most of the time people just put down 5 or 10% then it jumps to 20% but that’s basically how it works. Again they’re insuring the lender in case of default. Now on a conventional if you get that 20% equity then you could get the mortgage insurance taken off. What usually happens and I don’t want to speak for every mortgage company out there but I always tell people. When they feel they reach that 20% mark pick up the phone give a lender a call tell him you would like to take the mortgage insurance off. Sometimes they just do everything in house to see what the value is. Other times they might send out an appraisal and you may have to pay for the appraisal but you know maybe 350 dollars or something and they’ll value it and to see where you are. So if you could take the mortgage insurance off your home. That’s how mortgage insurance works or private mortgage insurance or a funding fee. Again, it’s just protecting the lenders assets in case the buyer defaults on the one. Hopefully this never happens. If you have any questions at all don’t hesitate to give me a call (813-317-4009) or you know I always tell people call a lender they could give you all the detailed information in your area and what you’re looking for but I’d be more than happy to answer any questions if I can. I hope you have a wonderful day. If you’re looking for an agent in Tampa give me a call (813-317-4009) I’d love to talk to you. If not, I wish you the best of luck and thank you for watching my YouTube Videos. Don’t forget to if you like these videos give me a thumbs up. Thank you very much. A lot of loan officers in the Tampa area are very complacent with the real estate market so good. Learn what to do and what questions you need to ask. With the real estate market being so hot in Tampa Bay many loan officers (lenders) are becoming more and more complacent. So I have been doing their job for them and explaining the different loan programs and closing costs to my buyer for them. Thank goodness I was a loan officer and I know a lot about mortgage loans, closing costs and programs. What you need to do when you talk to a loan officer is get a Loan Estimate (LE). This will give you a breakdown of all your reoccurring and non-reoccurring closing costs. Then ask the loan officer to go over the different costs with you so you have a good understanding. It’s also a great idea to ask the loan officer if there are other loan programs that you are qualified for and to go over the pros and cons of each loan program. Hi everyone. This is your Realtor Tampa Bay . In this video, I want to talk about why loan officers in Tampa and probably everywhere in the United States right now are very complacent and what you need to do about this. I wanted to do this video because this week I had several buyers. A couple that was local first time home buyers and then some that we’re relocating to Tampa and one thing I noticed just how complacent loan officers have gotten now. I talked about this a weeks ago but I want to bring up a little bit different twist and what you need to do about this. In Tampa right now our market is really busy. So I think again everybody is getting complacent. Realtors, loan officers, builders, inspectors, everybody and I’ve just noticed a lot of time when first time home buyers are going in and getting a loan. The loan officers are not taking the time to really explain the different loan programs to them. They’re not taking the time to explain the lender's estimates called the LE and going over different closing cost and when someone’s coming in from out of state they’re used to different closing cost or different procedures in the state they are coming from and the loan officers. What they are doing is they’re basically directing everybody to their website. They’re saying fill out an application. They’re filling out an application. They may send them a lenders estimate, they may not. They’re supposed to but even if buyers are calling and getting pre-qualified. They’re not really going over everything with them. They are not explaining things to them like different types of state taxes and how things work here. What I would say is this. When you talk to a loan officer and you get a quote. Whether it’s on the interest rate of closing costs. Get everything in writing from him. Ask him to send you a lenders estimate and go over all the different cost with them and have him explain it to you. I know when I was in lending years ago. I always did this to people and when I was working with them whether they’re a first time home buyer or a second time home buyer. I always went over the different options with them on loan programs and told them the advantages, disadvantages and let them pick out what was best for them. And a lot of cases they just simply asked me well what one would you go with and why. So you need to start asking questions because I see so many buyers out there they are just getting information from these lenders and what’s happening is I’m having to step in as a real estate agent and explain the different loan program, the different closing costs and it’s okay because I understand this. I was a lender for so many years. I was a co-owner of a mortgage company but very few real estate agents understand anything about loans and most of them just say oh we’ll just ask the loan officer. It’s unfortunate and I know a lot of people that are watching this video are not in Florida or certainly not in the Tamp Bay area but just make sure to talk to the lender. I mean the loan officer and ask them. If you have any questions don’t hesitate to give me a call (813-317-4009). I’d be more than happy to help you or just shoot me an email. If you like my videos subscribe. Hit the bell button and you’ll be notified and give me a thumbs up or leave a comment. Have a great day! I hope this helps you. Here is my YouTube Channel https://youtube.com/tampa2enjoy for more educational real estate videos. It is VERY important for the listing agent (Realtor) to call the buyers lender and verify that the buyer is actually qualified for a mortgage. In this video, I go over what can happen if they don’t. This might sound a little odd, but most loan officers like and respect real estate agents that do their due-diligence by picking up the phone. By doing this you’re going to take the sellers home off the market for 30-45 days and possibly miss a qualified buyer because you could not spend 5 minutes doing your due-diligence? This is WHY you, as a home seller, have to interview Realtors. You need to hire someone who is going to look out for your best interest and protect you. Hi everyone. This is your Tampa Bay realtor Lance Mohr and in this videos, I want to go over, should you have your listing agent or realtor talk to the buyer’s lender before you accept a contract and that’s what I’m going to go over in this short video. So the answer is YES always have your real estate agent, your listing agent call the buyers lender. Now, I know in our market our average sales price is 200,000 is someone’s making an offer on an $800,000 home. I know it’s not their first rodeo but certainly, I would still call. I would do my due diligence. The lower the price the more important it is. I just want to do it because I want to protect the seller but I also want to protect my own assets because if things go sideways, I don’t want to wind up with an in my face. I want to do everything I can to make sure the seller is protected. To make sure they’re not going to have put their home on the market for two weeks or four weeks or six weeks and all of a sudden it blows up and comes back. What I do when I get enough or coming in I’ll go ahead and pick up the phone. I’ll call the lender. I’ll introduce myself. I’ll see what kind of or type of contract it is. Say it’s conventional sit-down. On to say it looks like the buyer is going on a conventional loan. I’m guessing this is a FannieMae loan they’re putting down 5%. I just want to make sure that they meet Fannie Mae’s debt to income ratios. Their guidelines and they’ll usually say you know yes then I want to make sure they meet their credit score guidelines. Yes, I want to make sure they need their depository car guidelines and what’s in the bank accounts etc. Now I’m not asking personal questions. I’m not asking what their credit score is or what their debt can come in as or how much money they have in the bank every blue moon I’ll get a lender and they’ll say well I can’t, I can’t go over this you and I’ll say well why not buy while you can’t go over personal information that this is just guideline information I just want to make sure that they meet the guidelines most lenders are quite the opposite most lenders will be more than happy to talk to you because they rarely get calls from real estate agents like this. It rarely happens in good faith estimates or I should say pre-qualification letters rather are good but there’s a lot a genetic will write a pre-qualification for people who have they haven’t even talked to or who haven’t even filled out an application. When I was in lending years ago. I would actually have three orders call me up that would go out and show buyers properties. They would look at the home they would write a contract then call me up one a pre-qualification letter. A pre-approval letter and they won’t even let me talked to the buyers and it’s ridiculous and when I tell them I’m not going to do that they’ll just say well find someone who will. It’s absurd but it does happen. So always have your real estate agent, your listing agent pick up the phone and just go through is the buyer qualified. I meant I know it sounds odd but I’ve actually had situations where the buyer hasn’t been qualified and I found this out upfront because keep in mind if the buyer has 30 days to get qualified. If they’re not qualified they have 30 days to get qualified and they couldn’t show up that 30 days and you could be missing other potential buyers who would actually buy your home. Always make sure your listing agent calls the buyers lender and goes over. Are they qualified and confirm this. I hope this helps you remember these videos are for you. So if you have any questions real estate questions or anything like that put them below in the comments below should be an email go to ur Contac Us page and send me an email let me know what your questions are because I’d love the answer them or I’ll probably do a video on it because if you have a question. A lot of other people have questions if I can help you at all if you live in Tampa Bay area or if I could help you don’t hesitate to give me a call, shoot me an email. I hope this helps you. I wish you the best of luck buying or selling a home. Have a great day. For more real estate videos you can visit my YouTube channel Mohr Home Group. 1. How well the community is maintained. 2. It's a very diverse built, community. Over 10 different builders. 3. The community features are awesome. I will tell you why I love Panther Trace. In this short video. Hi everyone. This is your Tampa Bay realtor Lance Mohr and in this video. I want to talk about what makes Panther Trace in Riverview such a great subdivision. Then I’m going to do a little drive by videos through Panther Trace to show you different areas of Panther Trace. That’s what I’m going to go over in this video. Panther Trace in my opinion is one of the best sub-divisions in Riverview. I love Panther Trace. As a matter of fact, I own two rental properties in there and the reason why I like it, number one it’s a huge subdivision and it’s also very diverse and when I say diverse it has town homes, it has villas, it has single family homes but because it’s so large it also has a lot of builders in there. If you watched any of my new home videos that I've done, it really talks about the advantages of having a lot of builders in a subdivision because sometimes, when you go into subdivisions that might be smaller or even real big and they only have one builder or maybe two builders. Everything starts looking very similar because people start picking the same floor plan over and over again, or maybe they have the same elevation and note though they’re not right next door to each other. You will see it throughout the community. When you have a community that has so many builders, I think over 10 builders in Panther Trace you’re going to see a lot of diversity. You’re not going to see a bunch of cookie-cutter sections of the community. The other thing is you are going to see in Panther Trace you have some entrance level builders, you have some mid-level builders, you have some upper end level builders. So it’s very diverse as far as what you’re looking at. Also what’s really nice is I love the fact that they have two community pool areas. They have tennis courts, pools, playground, and volleyball courts. It’s very nice. They also have which is very important to a lot of people and elementary school right there in the subdivision and it’s also close to 75. If you’re looking at getting on 75 it’s a pretty easy commute. Riverview is a really growing are, a nice area, and I think Panther Trace is certainly one of the nicer subdivisions in there. So let me go over and let me show you a video. A drive by videos just so you get an idea of some of the street, the areas in the Panther Trace. Okay so I hope you enjoyed that. If you have any questions about Panther Trace, if you have any questions about Riverview, if you’re thinking of buying a new home, a pre-owned home, selling a home, give me a call. I’d love to help you out. If you have any questions just in general don’t hesitate to give me a call or leave a comment below. I wish you the best of luck in buying a home. Have a wonderful day. My YouTube channel https://youtube.com/tampa2enjoy contains tons of educational real estate videos. For all home buyers and sellers. Buying a new home can and should be one of the most exiting purchases of your life. But for a lot of new home buying it’s a frustrating and expensive ordeal for them and their family. Not to mention, time consuming. 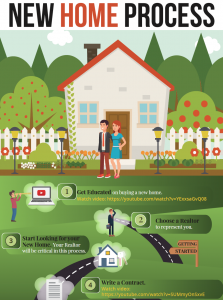 That's why I put together this free information graphic for everyone that is looking at buying a new home and wanting to learn more about the new home process. Just click the image to get your free copy. I put links in the infographic to very important and money saving YouTube videos. In the videos, I go in a lot more depth on that part of the new home process. This way you have a better understanding on not only the process when purchasing a new home, but how to save a lot of money, time and/or frustration. When you are constructing a new home, you will definitely need a Realtor. The Realtor understands everything that has to do with purchasing or building new homes, so experience is priceless. Your Realtor can get you a better deal and do everything in your best interest. With a Realtor, you can avoid last minute surprises. So don’t go through the complicated home building process without a Realtor. After getting a Realtor, start looking for your new home. Your Realtor will be critical in the process. After deciding to build a new home, you need to sign the construction contract. Before you put pen to paper, make sure you review the contract and ask your Realtor anything that is not clear to you. Your realtor will help you negotiate any terms you want to negotiate to get the best deal. When it comes to building a new home, many benefits come with it. From low repair costs, higher energy efficiency to the chance to customize several features, building a new home is better than buying an old house and renovating it. So after deciding to build a new home, you need to get a loan to get the job done. Start your loan approval process. Meet the lender to get pre-approved for the amount you need. Unless you are paying in cash for the new home, you need to get a mortgage loan. You will have a private appointment with a design consultant to help you with color schemes, options, upgrades and all other features. Here is where expertise comes to play. If your land is smaller than your specifications, professional design consultant knows what to do to accommodate your specifications. So make sure you personalize the home and customize it to your taste. The builder will apply for the building permit, prepare your home site and order materials. After the site has been prepared and the materials are ordered, you need to schedule a meeting to check the site and the quality of materials that will be used to build your home. You will learn about the construction process, review specific information about your home and confirm your option. Often, preparation and foundation of your site are carried out by the same workers, but it may not be the case if there are woods on your site. If your site is wooded, you need bulldozer and backhoe crew to clear the trees, rocks and debris, as well as leveling the site. After clearing and leveling, footings will be installed and the concrete will be poured.  Watch our YouTube Playlist – Learn everything about buying a new home from A – Z. The concrete will be allowed to cure and after it is cured, the waterproofing membrane will be applied to the foundation walls. The drains, plumbing that needs to go into the basement, water taps and sewer will also be installed. After the concrete is cured, a city inspector will inspect it to ensure the components are installed properly and up to the standard. Depending on the type of foundation, there may be multiple inspections at this stage. The walls, roof and the floor system are completed (the skeleton of the new home). OSB or plywood will be applied to the exterior walls and the roof, exterior doors and windows will be installed. Then the sheathing will be covered with a house wrap to prevent water from penetrating the structure but allow water vapor to escape. After the walls, doorways and windows are framed, your home will start to take shape. Once your home is framed, the roof and exterior walls of your home are installed to protect the interior from the weather, thus assuring that work can start indoors without the materials suffering damage as a result of snow, wind, rain, etc. If it is a high-rise building, dry-in may be confined to the part of the building where interior work is being carried out. In most cases, engineer, contractor or architect may specify a temporary building protective measure to allow certain interior work to commence. Once the shell, roofing and siding are completed, it is time for plumbing and electrical contractors to run the wires and pipes through the ceilings, floors and interior walls. Sewer vents and lines, as well as water supply lines will be installed. At this point, one-piece tub/shower and bathtubs units will be put in place. Most of the electrical, plumbing, heating, air conditioning and ventilation are installed. HVAC vent pipes will be passed through the roof and insulation will also be installed in the ceilings, walls and floors. After the roofing is up, the building will be considered “dried-in.” So electrician can install receptacles for switches, lights and outlets. Wiring for cable TV, music system and telephones will also be included in the electrical work. Note that both plumbing and HVAC are usually installed before the wiring will be completed. After the plumbing, electrical, mechanical and rough framing, there will be another inspection to ensure compliance with the building codes. 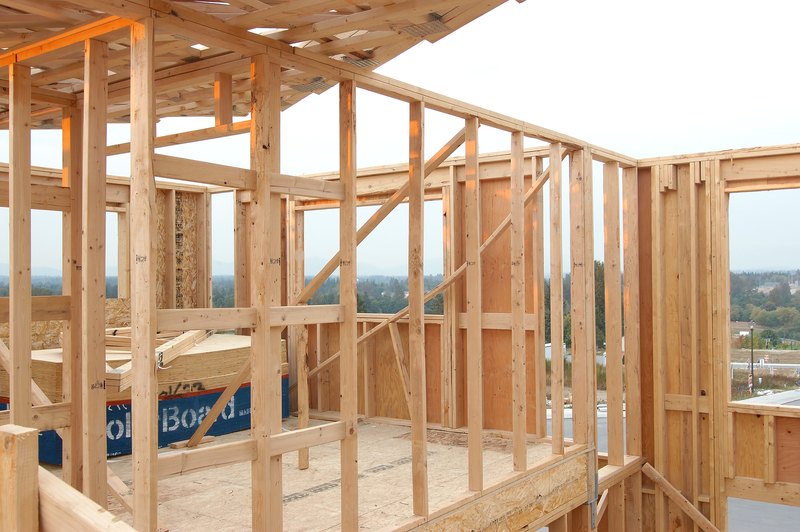 The framing inspection will be carried out separately from both electrical and mechanical inspections. 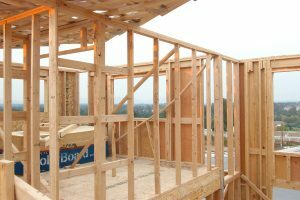 Your construction manager will walk you through your framed home. You will be able to look at the work they have done so far and see if everything is going according to your specifications. And if you have any complaint, this is the time you can make complaints. The builder will complete the drywall finishes. Interior doors, window sills, door castings, baseboards, stair balusters, fireplace mantes and moldings will be installed, as well as the cabinets, trims, countertops, paint, electrical, plumbing fixtures and flooring. Generally, patios, walkways and driveways are formed at this stage. Although several builders prefer waiting until the end of the building project before making the driveway because heavy equipment can destroy the concrete, some builders construct driveway immediately the foundation is completed. If the driveway is poured, the owner will not get his or her shoe muddy when visiting the construction site. Wood flooring, vinyl and ceramic tile are installed and the exterior finish grading is also completed to make sure there is proper drainage. 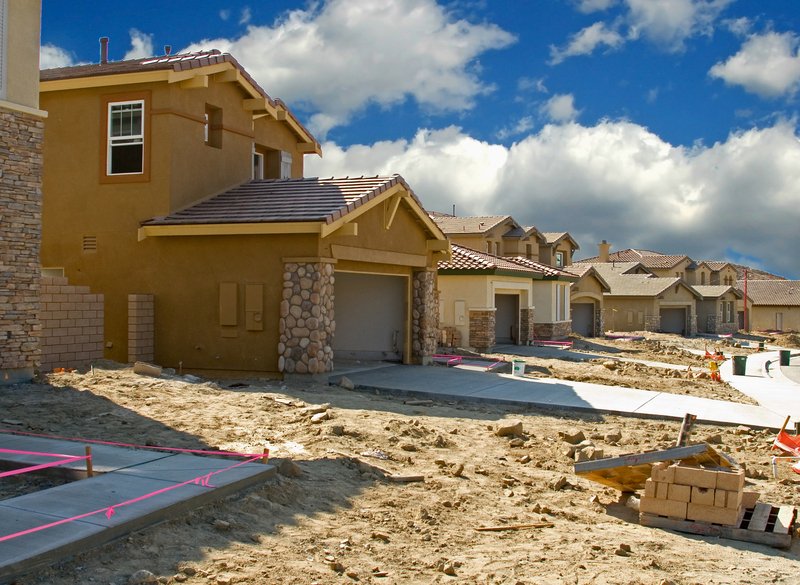 Your construction manager walks you through your new home for quality and will resolve issues. When building new homes, several things can go wrong and if you don’t identify those issues along the way, they may become big problems later. You need to inspect the building to ensure any issue with the project is corrected before the project is completed. Hire your own personal third-party inspector. You also need an expert to check for you. Get an independent, licensed, qualified quality assurance to inspect the building for you to ensure everything in your new home is of high quality and built according to the US building codes. You may be asking why you need a quality assurance to inspect your home. New homes are huge investment and the building process is generally emotionally stressful for the property owner. You may not be able to figure out everything that may be wrong with the new house, hence the need for an independent inspector to inspect the home for you. The quality assurance service will ensure high-quality workmanship and identify defects to be rectified. It is always hard to rectify problems that are not identified before the completion of the home. For instance, if wall framing is not right before the framing is covered by plasterboard or insulation, it is often too late to rectify it. So quality assurance inspection is important. Your construction manager will walk you through your home to demonstrate the features and functions, as well as confirm the quality. The manager will also explain your maintenance responsibilities and upkeep, as well as warranty procedures and coverage. This is known as a pre-settlement walkthrough. When the manager is walking you through, be attentive; so that you can spot the things to be adjusted. Check the surfaces of the fixtures, walls, floors and countertops for possible damage. Also, learn how to use add-ons such as the house security network. This is also the period to ensure more safety is integrated into your new home. When you are walking the property, view it through the lens of a burglar to determine where you need more lighting. You should also meet your neighbors and consider adding security items like motion sensor lights, window & door sensors and security cameras. Once you’ve completed this stage, you can close. But make sure to ask for the adjustment of anything you feel is not right before you close and receive the keys because, after you have received your keys, adjusting anything may be difficult. After you have been walked through the new home and you’ve listed things that needed to be corrected, the builder will complete any last minute repairs and touch-ups. After everything is completed, it is time for the new home delivery tour. Your construction manager will walk through your home with you and go over maintenance of your home. Real estate closing means settlement. It is the process by which you receive the title of the new home. Depending on where the closing takes place, attorneys, a title agent, real estate agents, you and the lender’s representative will be present at closing. The title company could also handle the signing of your final purchase and loan document. After signing the documents, you become the owner. Congratulations! The home is yours. Building a new home is a very exciting thing, but you must register your home into the statutory warranty program. Make sure you fill out warranty cards (register online) for all application. Make sure you read and understand the builder warranty booklet. Complete an online warranty ticket if you feel anything is not right. It's the dream of Americans to own a new home and if you are ready to build your home, you need an experienced real estate agent that can walk you through the new home construction process. If you are looking for a reliable real estate agent for your new home project, Mohr Home Group can help. Although there are several agents out there, experience and integrity matter when it comes to choosing a real estate agent. Mohr Home Group has the experience, integrity and the expertise to help you build your dream home. If you are looking to build a new home in Tampa, We are always available to help you. If you have any question, contact us. Although purchasing an existing home looks appealing because you don’t have to wait for it to be constructed, building a new home has several advantages. If you doubt that, continue reading to see the benefits of building a new home. You read that right! With a new home, you will be presented with a blank page which gives you the power to fill what you want and need. You can select floor you want, the layout and features. You will be able to choose the type of home you love with preference, as well as square footage. Building a new home is better because buying a resale home is like fitting a square peg into a round hole. One of the biggest advantages of building a new home is that you will get protection because it will be backed by a new home warranty. New homes in Tampa are backed by a warranty program that will cover your new home for up to 10 years. Your new home is truly new! Getting your home built from scratch means it will be built to the latest building codes. It also comes with top quality materials, while older home will have different unseen issues like lead paint, asbestos, cracking foundations and more. New energy codes mean foundation, insulation and efficient systems like HAVC, air filtration and plumbing. You can even go green! Whether you are looking to build a luxury home or a simple starter home, construction of new homes contain several unknowns which can be overwhelming. It can be more overwhelming if you experience hiccups in the planning process or you are not sure of where to start. Depending on the weather condition, availability of worker, square footage and supplies, the new home process can take about three months to a year or more. One amazing thing about new homes, is that most of them are built based on standardized building practices. Although the quality outside is always consistent, the quality inside is also important. Not all homes are built using quality materials inside. So if you are looking to build a new home, you need to ask someone who knows about new homes. If you have any question about the process of building a new home are about buying a new home in Tampa please contact me at www.tampa2enjoy.com/contact-us/. Hi everyone. This is your Tampa Bay realtor Lance Mohr and in this videos, I want to go over a great question I got the other day from a home buyer and that is. What is the number one quality a real estate agent should have when you work with them? Iím going to go over that in this video. I just thought that was a really good question. I just, of course, wish I could really narrow it down to one quality and I am going to do that. I would say if you're looking for a real estate agent whether you are a buyer or a seller you really need to look for an agent that has a lot of great qualities. Not just one or two of them. You know thereís so many things. Do they have great communication? Are they honest? Are they looking out for your best interest? Do they know what they are doing? If they been in the business a while and happened a lot of experience. Are they are going to be available to show your property? What happens if they go out of town? Do they have someone in their team or someone in their office or someone they could get you in the home so you donít lose it? Do they have to know how, how to negotiate? What is the single best quality you could have? Now before I answer that. I do want to just give a side note here. I just have to say, I think most agents out there are honest and they are really trying to do the best their home buyers and home sellers. Some of them just donít have the experience level. I want to sort of put that off because at the end of the day you to hire an agent that's honest or forget it. I just want to assume that every agent that youíre talking to that you have a good feeling that is least theyíre honest but if we take away and just put that off to the side. I would say the number one quality an agent could have would be their knowledge. Not just book smart but more knowledge on experience. If they did, if they have been through is this our first rodeo or is it their thousands of rodeo and how do they. What experience level do they have because of weíre in a different market right now and thereís a lot of people out there? They just donít know what they are doing and I think thatís okay. I mean everybody has to learn but you want someone who knows what they are doing. Someone whoís knowledgeable. So out of everything except honesty and I'm just going to say, I think everybodyís going, to be honest out there. There are a couple bad apples but not many of them out there but put it aside honesty I would just say knowledge. That would be my number one quality. I think any real estate that youíre looking whether youíre buying a home or whether youíre selling a home should have. Iím curious to find out what do you think. Do you agree with that? You think knowledge? Do you think availability? Do you think I should just say honesty and forget everything else? So in your input, Iíd like to know what you think. I hope this helps you. If you have any questions. Don't hesitate to reach out and contact me. If you like my videos please subscribe to my channel Click here. Click the little bell icon and youíll be notified of my videos. I wish you the best of luck whether youíre buying a home or whether youíre selling a home. Have a great day. Check out how to save 3 – 6% when buying a house in Tampa, FL. Here's how you can save dollars when buying a home. Hello home buyers. Your real estate expert, Lance Mohr and today, I want to talk about how you could possibly save 3 to 6% when buying a home. As a real estate agent, I am always trying to get my home buyers a competitive edge so they could get a better deal or if it’s a multiple bid situation, beat out other buyers from buying their home. And as you probably know by now, the National Association of Realtors, take statistics every single year. They spend millions of dollars and talk to home buyers, home sellers, see what there likes are, dislikes, concerns. And they have shown that home buyers that are pre-approved for a mortgage can save an average of 3 to 6% but let’s just say you are not going to save anything, but you get the home a beat out another buyer in a multiple bid situation. Pre-approval means so much in today’s real estate market. Now the difference between a pre-approval and a prequalification is when you go to the lender, prequalification is just based off of the information that you give the lender but pre-approval is based on the information that you give the lender and they verify it. So you are essentially a cash buyer. And at the end of the day, you are going to have to get approved for a loan sooner than later. So you might want to do it sooner than later and use it to your advantage. Think of it this way, if you are going out to a home seller, and let’s say there is another buyer, you are both offering $200,000 and the other agent says, “Well my buyer talked to lander a few weeks ago and they told them they could buy the home with $200,000.” And we go in and we say, “Well, my buyer is already fully approved for a mortgage. Everything is verified, they are basically a cash buyer. Would you like to close this month or next month?” I’ll tell you 1000 out of 1000 times, they’re going to take the pre-approved buyer. So if you’re going to do it sooner than later, you might as well get it done sooner than later. I hope this helps you. If you have any comments, any questions let me know. If you are looking for a great real estate agent to work with, give me a call, my contact information is below. I wish you the best of luck in the home buying process. Thank you very much. Here is my YouTube channel https://youtube.com/tampa2enjoy. We have tons of educational real estate videos. You can also visit my podcast https://www.spreaker.com/tampa2enjoy.